"I have used Bless This Mess for over 12 years. They have always been dependable, professional and thorough. Rene is exceptional to deal with. I highly recommend them for your cleaning needs." 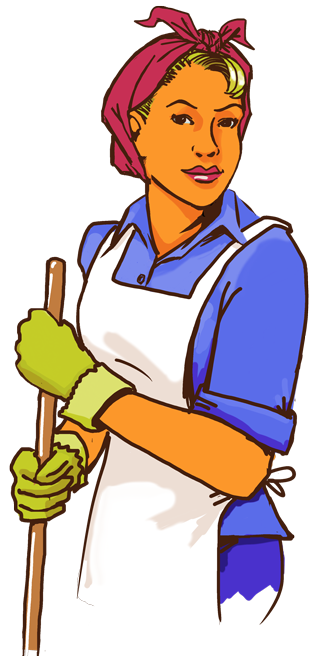 "I have used Bless This Mess cleaning company for 15 years, and I'm extremely please with her services. Considerable effort has been made to meet my needs on the very rare occasion when things aren't work quite right, it only takes simple phone call and things were made right. The staff that comes are very professional, I love the way everything looks when they are finished." "I love Bless This Mess!! I feel comfortable leaving my home in thier hands, they are reliable trustworthy punctual and hard-working. They go above and beyond they never disappoint!"